Denver provides the perfect backdrop for a guys’ getaway with just the right amount of good food, craft beer, culture, and outdoor activities. 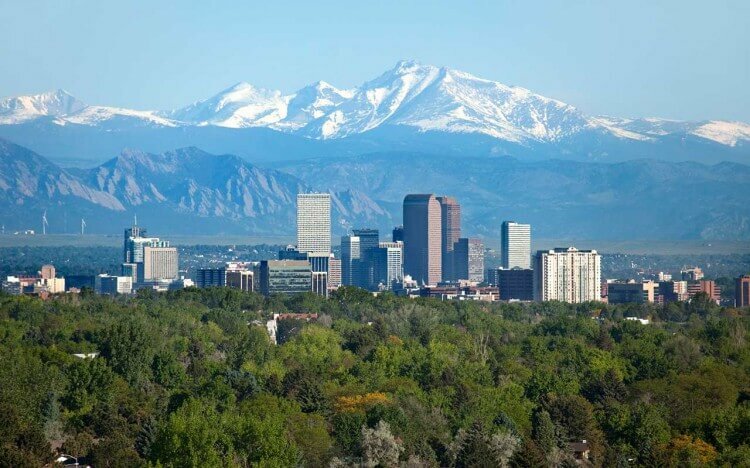 The Mile High City is a gateway to the Rocky Mountains, perfect for the adrenaline junkies looking to fill their days with, hiking, rafting, mountain biking, in the summer and snowboarding and skiing in the winter. Take in a baseball game at Coors Field and watch the Colorado Rockies hit some home runs as the sun dips behind the mountains and the sky becomes a masterpiece of colors. Catch a concert at Red Rocks Amphitheatre in the foothills just west of town. With more than 150 breweries in this capital city, it’s hard to choose just one to visit during your stay. We suggest Tivoli Brewing Company, Colorado’s oldest brewery, for a glimpse into the state’s history, or Denver Beer Co. for premium and artisanal pours that are best shared with friends at their outdoor picnic tables. A hot spot for guys’ vacations, Fort Lauderdale is known for its beautiful people, lively beaches, rockin’ nightlife, and big game fishing. Just 20 miles north of Miami, Ft. Lauderdale has a laid-back vibe and comes without the enormous price tag of its neighbor to the south. Rent a sport fishing boat with some buddies and hunt for sailfish, tuna, mahi-mahi, and monster sharks out on the high seas. The city is also known as the “Venice of America.” Rent a boat and captain and jet through the many canals where the rich and famous reside. If you aren’t feeling the water, book a party on wheels with Cycle Party and enjoy a pub crawl, foodie tour, or just some good old fashioned sightseeing. Once night falls, check out America’s Backyard, a massive outdoor bar that resembles, well, your backyard! It’s the closest thing to a college bar that you will find outside of university with hula hoops, drinking games, and a rambunctious crowd. Kansas City is one of those cities that once you visit you’ll never want to leave. First up: Try some world-famous Kansas City-style BBQ for massive platters of meat and tangy sauce, all washed down with an ice-cold pitcher of beer. Try the legendary “burnt ends” from Arthur Bryant's Barbeque that have attracted former Presidents Jimmy Carter and Barack Obama, director Steven Spielberg, and actors Jack Nicholson and Robert Redford, to name a few. Hit the town in the Power & Light District , which boasts more than 45 restaurants, bars, a bowling alley, and lots of heated outdoor patios. After a couple of craft brews, test your mechanical bull riding skills at PBR Big Sky where cowboy cool meets urban chic. Looking for something a little more low-key? The National WWI Museum and Memorial allows you to crawl through simulated trenches, admire an arsenal of planes and tanks, and pay honor to those who served. For the ultimate party destination, hit the Las Vegas strip. Whether you’re going for a bachelor party or just for a fun weekend, Sin City is a place full of wild adventures. When you think Vegas, the first thing that may come to mind is gambling and nightclubs, but this destination has so much more to offer. See the city from great heights by taking a ride and grabbing a drink on the LINQ’s High Roller -- the largest observation wheel in the world at 550 feet. Visit the Bali Hai Golf Club for some daytime fun and friendly competition. This tropical and award-winning manicured oasis on The Strip has unparalleled city views and is sure to create a lasting memory. For a truly unique nightlife experience head over to Carnaval Court at Harrah’s for an outdoor street party filled with live music, bartenders juggling flaming bottles, and blackjack tables.